Surrey – Courtesy Anita Huberman – Surrey Board of Trade – One week from today, on September 15, the minimum wage in BC will increase from $10.45 to $10.85 per hour. The increase is 30 cents more than the scheduled 10 cents increase as indexed to the Consumer Price Index (CPI). The minimum wage will further increase to $11.25 in September 2017 – another 30 cents plus an anticipated CPI indexed increase of 10 cents. To offset the anticipated impact on businesses, the government further reaffirmed its commitment to reduce small business tax rates by 40% by 2017-18. Over the Summer, the Surrey Board of Trade surveyed their 2,200 members to find out how they feel about the impending increases. The Surrey Board of Trade regularly surveys our members to ensure that our policy positions are still in line with our members’ business interests. “Regarding minimum wage, the results of the survey did support the Surrey Board of Trade’s current policy which is to have the minimum wage indexed to the CPI, with predictable and consistent increases so that businesses can adjust without undue impact – especially on the small to medium sized employers,” said Anita Huberman, CEO, Surrey Board of Trade. However, a snapshot survey such as this often gives a little bit of insight to some of our members’ thinking. Over 60% of respondents supported the increase to $10.85. Of those who responded to the question, “If you do not support the minimum wage increase as announced, what increase would you support,” nearly 40% chose the living wage option. About 25% determined the original CPI indexed increase of 10 cents was preferable while just over 20% supported a $15.00 per hour minimum. “Unsurprisingly, the vast majority supported the decrease in the small business tax that would be used to offset the additional 30 cent increases,” said Anita Huberman. Rounding out the survey’s questions was an opportunity for respondents to comment. Always informative, comments from members ranged from those who “do not agree with this living wage concept, you want better wages, get more training,” to believing that a “living wage is a moral imperative. Structural poverty is not what society is about.” Most fell in between and focused on how businesses would be able to manage. Some of the impact comments that our members will experience include: everything will go up on a menu; need regular increases but cannot leap to $15 as it places too high of a burden on businesses; increases do not keep up with cost of living and businesses will pay later; and, several respondents commented that the increase will further fuel technological substitution. The survey results will be further evaluated at the Surrey Board of Trade’s Social Policy and Finance/Taxation Team meetings this Fall. Daylight Saving Time – Survey – Does It Make Business Sense? Should It Be Scrapped? 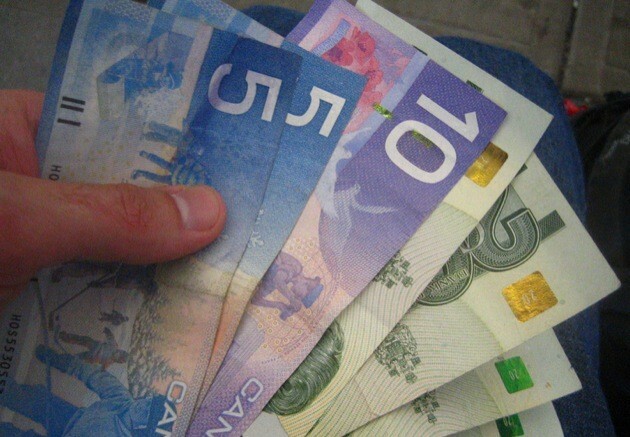 Be the first to comment on "Op/Ed – Surrey Board Of Trade On Minimum Wage Hike September 15"